I got an early birthday present from my mum and my sister, a day trip to Paris. How sweet of them! We went yesterday on the Eurostar, I love going on the train and I got to read. I did not expect it to be so cold though, it wasn't the fact that it was cold it was more there was a really harsh and cold wind about. Which blew up loads of sand everywhere, my eyes hated me by the end of the day. Then I broke my bead bracelet outside a museum in front of loads of school kids, they were nice enough to help me pick them up as I thanked them in my appalling French. I'm determined to learn French by the end of the year, I hope it works. 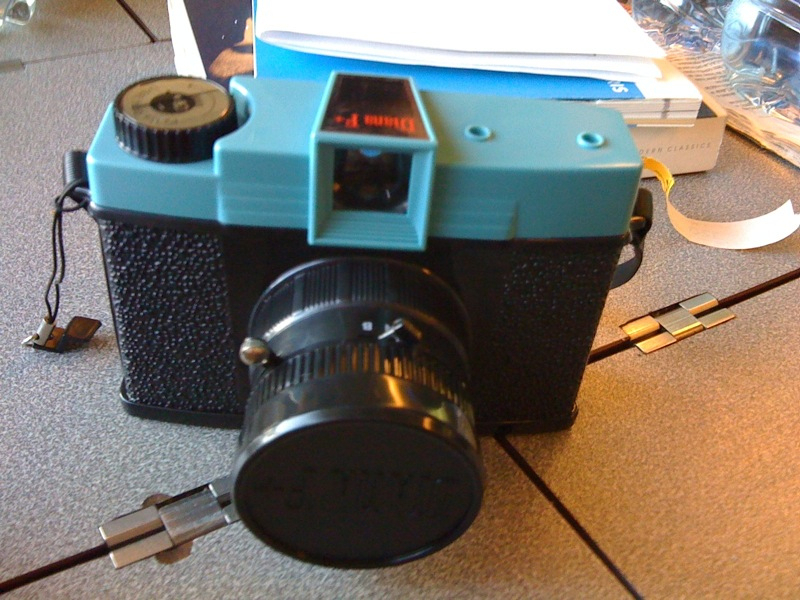 I also got a lomo camera (Diana F+), I've wanted one for ages. I took some photos with it but I'm not sure how it will turn out. Hopefully well, but I'm thinking probably bad. 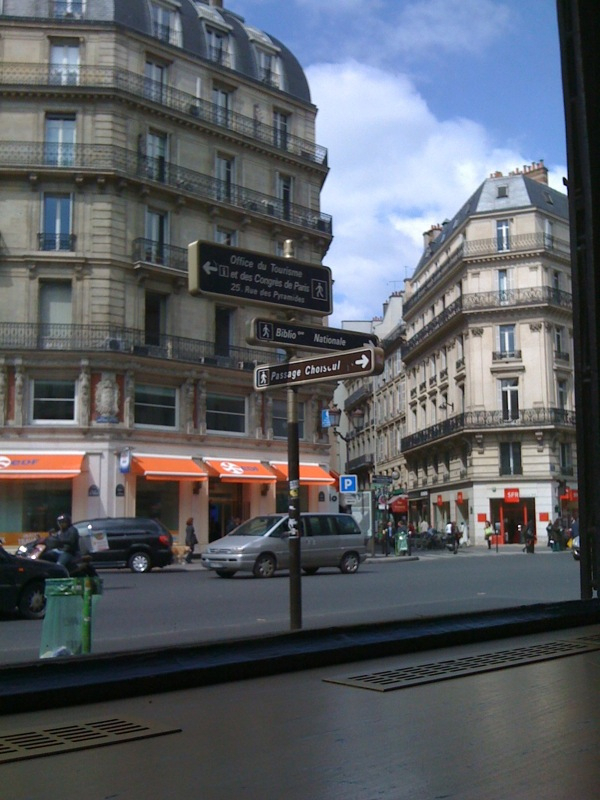 My picture of a French street, not a great example but I wasn't up for moving from my seat in Starbucks at that point. Not the best place to go for coffee when you're in Paris but I was hoping for free wifi, feeling cut off but turns out you have to pay for it. I thought this was a great view, a gorgeous bridge and a gorgeous view of the Eiffel Tower behind it. 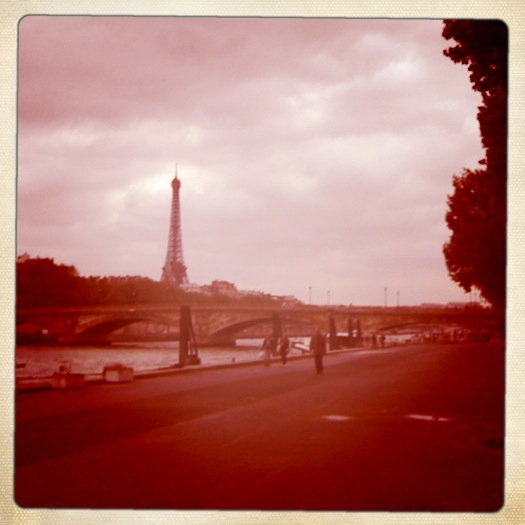 I could easily become obsessed with the Eiffel Tower.